Let's get musical! Music is a wonderful calming strategy that also helps develop fine motor skills for school. In one hour music sessions, your child will learn to play different rhythms on various musical instruments to improve upper body strength and endurance. 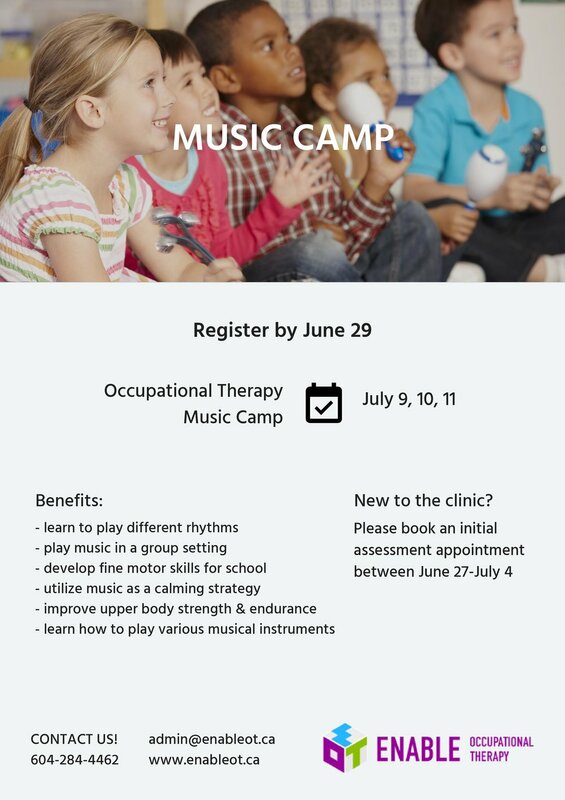 For details and registration, please email admin@enableot.ca or call 604-284-4462. Autism and At Home Funding are accepted. Regular cancellation policy applies. ©2019 Enable occupational therapy, LTD.